How do we embrace summer, and all it has to offer without compromising our productivity and effectiveness at work? Here are 3 tips from productivity keynote speaker and author of the 12 Week Year, Brian P. Moran, to making the most of the summer months. When you spend your time with intention, you know when to say yes, and when to say no. When you are intentional, you waste less time and spend more of it on your high-value actions. Intentionality is not about scheduling out every minute, quite the contrary, it’s living each day on your own terms. 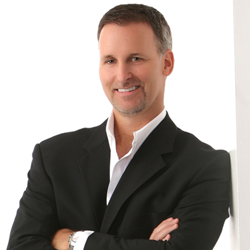 Executive Speakers Bureau is proud to exclusively represent Brian P. Moran for all keynote speaking engagements. We are a full-service speakers bureau, taking pride in our ability to provide world class service as well as our ability to deliver today’s foremost professional speakers and expert trainers to clients around the world. It is our commitment to provide our clients with unparalleled service, access to hundreds of motivational speakers worldwide and individualized personal attention. For more information, visit http://www.executivespeakers.com or call us at (901) 754-9404.